Search Engine Optimization (SEO) can be a hard to understand. With multiple updates a year coming from Google it requires continuing adaption from website owners. Something that was best practice last year could be killing your search rankings today. 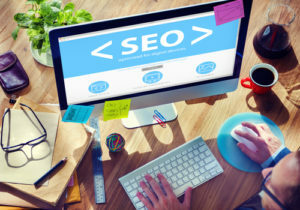 Here are some common SEO Myths and outdated SEO practices you should NOT be following. The worst myth you can follow—pleasing Google before your visitors. All of Google’s updates and algorithms singularly focus on one mission: deliver the best, most reader-friendly results as fast as possible. While a few things in the backend, undetectable by visitors do matter, most are obsolete. Stop pleasing Google. Focus on creating useful, dynamic content that is distinctly relevant to your intended audience. A familiar adage, but one that steers you wrong when it comes to SEO. It’s time to start thinking quality over quantity. When search rankings first hit the Internet’s radar, it was all about keywords—and packing your web pages full of every possible variation. This practice is dead (except websites stuck in the early 2000s). Not only is it tacky and awkward for your readers, but it’s also killing your rankings. Google now tags this flagrant overuse of keywords as spam and crushes your chances of ranking in organic searches. While still a contending factor in search rankings, link building strategy is changing. A new change in an algorithm, has put an end to strategic link building that used to draw in visitors and boost rankings. Now, the focus should be creating engaging content with a few quality links to outside, relevant sources. Links should never be expected but should occur organically to material that is of genuine interest and varied over multiple sites. Have pages linked to your site? Better stay on top of them. “Bad” or spammy web pages that link to your site negatively affect your site. Time to take a peek at your referrals in Google Analytics, taking time to approve of them all individually. Find a bad apple? Disavow it! More unique, informative pages—yes. More duplicate pages—no. While there is no duplicate page penalty, Google will only archive one of the pages they flag as repetitive. Those extra pages are now dormant pages that slow your load time and add to the navigational chaos. Penalizations for poor content do exist. Instead of cranking out two to three pages with poor material per week, focus on one well-written, engaging page. With more than half of Internet users visiting sites on mobile devices and 90% using phones while searching for local information, it’s time to think of the mobile visitor. Additionally, Google took note of this trend, penalizing sites without mobile optimization. Luckily, web designers and web building sites have also listened. Exposure One offers web designs with mobile optimization included. Sites like Word Press and Wix develop mobile-optimized templates and host plugins to optimize already existing sites. There isn’t an excuse. Your website needs to be mobile-friendly. A better place to start may be with, “What is an SSL Certificate?” An SSL keeps all site information secure while your site and a visitor’s server communicate. It’s what gives you the “s” in https and the coveted green padlock. And it’s not just for e-commerce sites; it’s for everyone. While not a leading factor in ranking (making up 1% of Google’s decisions), as of January 2017 Google Chrome flags non-secured sites as unsafe. The impending algorithm change is on the horizon, stay ahead of it. It’s a continual process of updating best practice methods and implementing new rules. SEO isn’t a one-time thing. You cannot write an article or create a new page with the current SEO practices and then forget about it. Remember: last year’s best practices could be hurting this year’s rankings. Google strives to continually offer user-friendly and relevant search results as quickly as possible. You should be attempting to do the same by implementing SEO best practices and writing for the visitor, not Google.